Because Hawaii is a romantic destination, you might think that any resort in Hawaii is a romantic resort. If all you need for romance is the beach and tropical weather, it’s fine to think this—but if you want your Hawaii vacation to be as romantic as possible, don’t overlook the resorts that go above and beyond to maximize the romance factor. Whether it’s private enclaves for couples, an outdoor spa that erases barriers between you and the Hawaiian environment, or just being well-located enough to chase waterfalls on a whim, these romantic Hawaii resorts offer epic adventures and special moments. Located on Maui near the secluded village of Hana, Travaasa Hana is one of the most famous resorts in Hawaii—and it’s well-deserving of that fame. Here, you’ll feel like you have a little corner of Hawaii to yourself when you stay in a private bungalow near the rocky cliffs. The resort offers romantic experiences like horseback trail rides through green hills in view of the ocean, and sunset strolls along coastal walking paths. 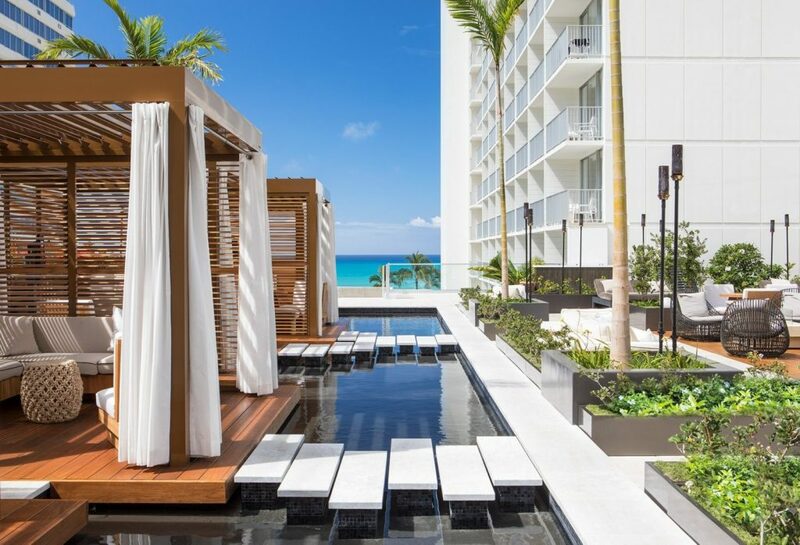 Couples staying at this romantic Hawaii resort should check out the stunning on-site spa, which offers sweet treatments like honey body wraps and hydrotherapy massages. 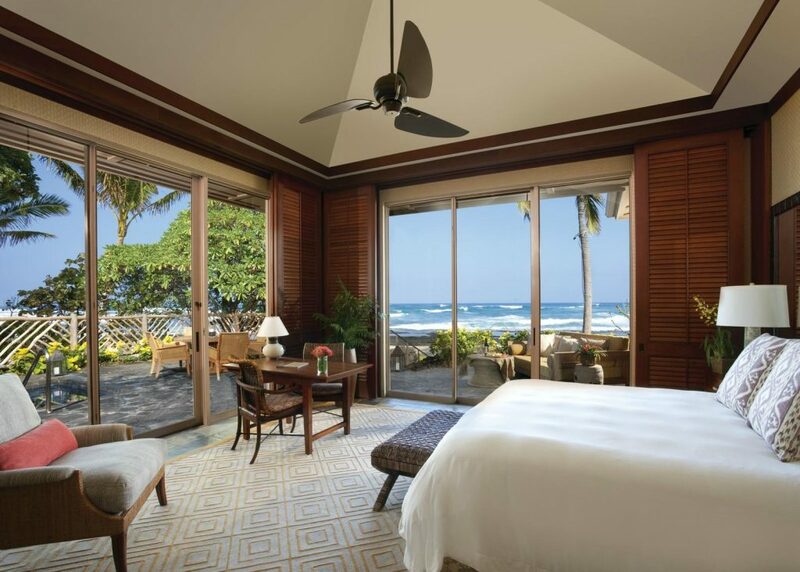 On the Big Island, the Four Seasons Hualalai is a good launching point for adventure. This romantic resort has seven pools with different features: there’s a lap pool, an ocean pool, a children’s pool, an adults-only pool, and the King’s Pond, a swimmable aquarium with over 4,000 tropical fish. At the adults-only pool, you can reserve the Couples Nest, which offers a private lounging area and an option to add spa treatments like hand and foot massages or moisturizing hair treatments. If you like outdoor showers, book an ocean-view room on the ground floor to guarantee this extra feature. On Maui, Hotel Wailea is a stunning adults-only retreat for culinary-minded couples. With an award-winning restaurant and the option for a private dinner in an intimate treehouse surrounded by mango and avocado trees, the food at this hotel is locally sourced and inspired by the freshest ingredients. Sourced from Maui farmers and fishermen, the food is practically grown in the resort’s backyard. This romantic resort is also relatively small with only 72 suites, so it feels like having a private beach house. Plus, with the Couples’ Paradise Retreat package, you can even have a spa experience right in your suite. On Oahu’s North Shore, Turtle Bay Resort offers the most options for couples looking for variety in Hawaii. This romantic resort has an assortment of accommodations including standard rooms and suites, beach cottages, ocean villas, and the extra-luxurious vista level. This romantic Hawaii resort also offers activities that set the stage for couples adventures—think kayak, moped, and canoe rentals; golf and tennis courts; and trails for biking, hiking, and horseback riding. 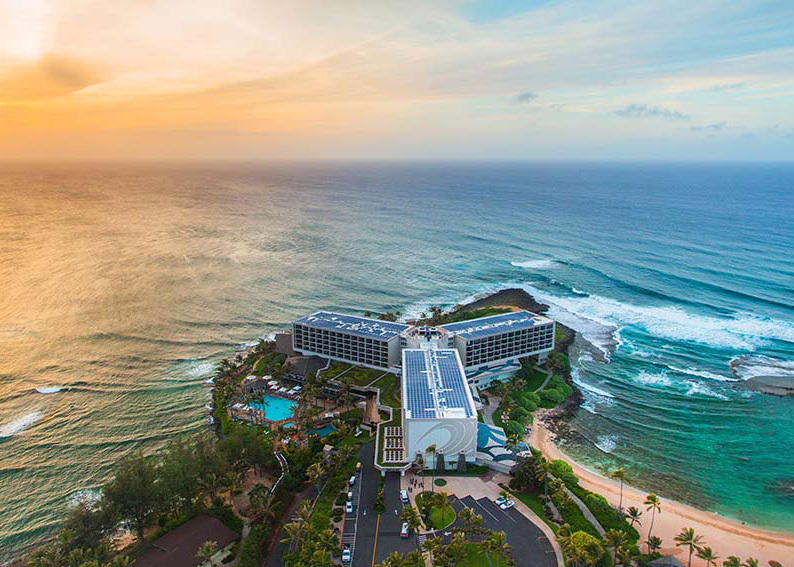 Thanks to its location on a peninsula, Turtle Bay is the only resort on the island where you can watch both the sunrise and sunset. That’s double the opportunity for romance. 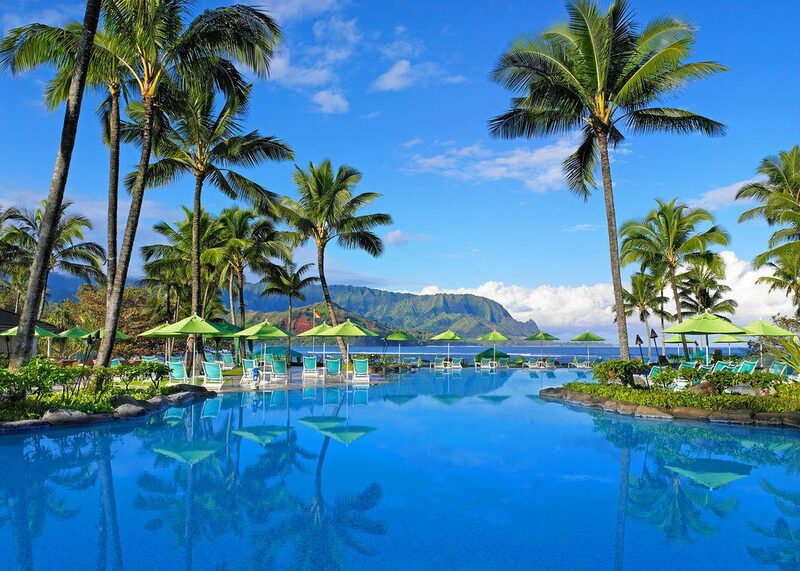 With views of the ocean and mountains reflected in its renowned infinity pool, the Princeville Resort on Kauai is one of the most romantic places you can stay in Hawaii. Romantic dining options include the the perfect-sunset-view Princeville Bar and the sophisticated Makana Terrace restaurant. 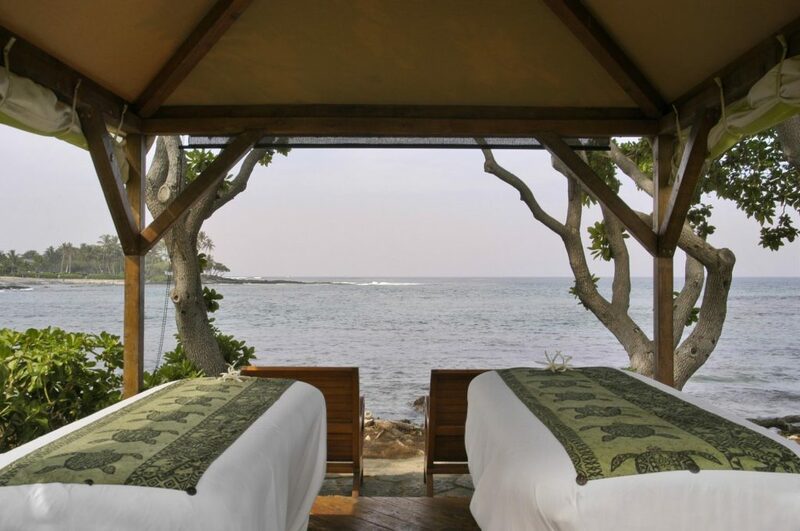 Couples should also take advantage of the Halele’a Spa. This beautiful facility is one of the best in the country and offers couples rituals that combine body scrubs and massages. 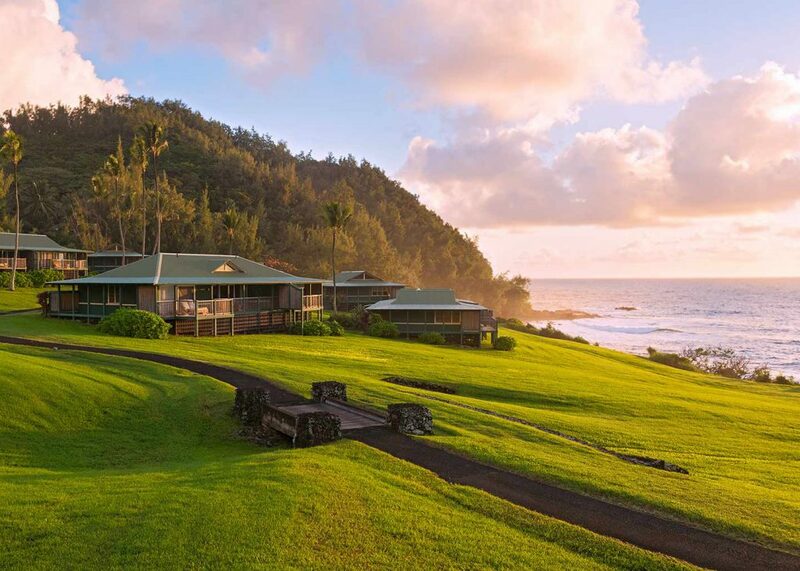 Insider Tip: The Princeville Resort is near the cliff-perched Kilauea Lighthouse, so it’s easy to take a romantic outing to this little-visited but striking landmark. For younger vibes, head to Honolulu’s Waikiki Beach. Alohilani is a romantic resort that blends paradise with city life. Between the two-story high, 280,000-gallon saltwater aquarium in the lobby and the rooftop infinity pool, there are plenty of photo-worthy moments at this romantic resort. The resort boasts high-end restaurants serving creative dishes, but its Waikiki location also makes it perfectly situated for exploring everything Honolulu has to offer food-wise. For an extra special stay, book a room with a view of the Diamond Head crater. On the Big Island, the Fairmont Orchid is a luxury resort full of romantic amenities. 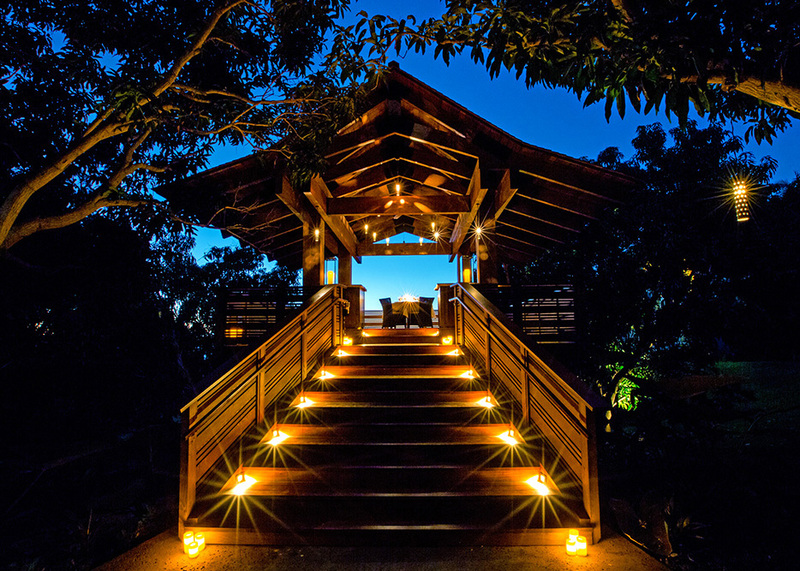 One of the most popular is its award-winning Spa Without Walls, an outdoor spa situated around a babbling waterfall with open-air treatment rooms overlooking the ocean. This mean you can have your couples’ treatment in your own private grove, just steps away from the water. The resort invites all guests to arrange a complimentary photo session, so you can let a professional photographer capture the best moments of your romantic Hawaii vacation. What’s the Best Hawaiian Island for You? Jamie Ditaranto is a writer and photographer who is always looking for her next adventure. Follow her on Instagram @jamieditaranto.